There’s no doubt that our dogs see the world differently from us. Not only do they rely much more on scent to navigate their environment, but their eyes are adapted to see better in low light than ours are. While our dogs originally evolved as nocturnal or crepuscular (dawn and dusk) predators, we evolved as a diurnal (daytime) species. Consequently, our dog’s vision is better adapted to detect motion in lower light levels. However, our dogs improved night vision comes at a cost. 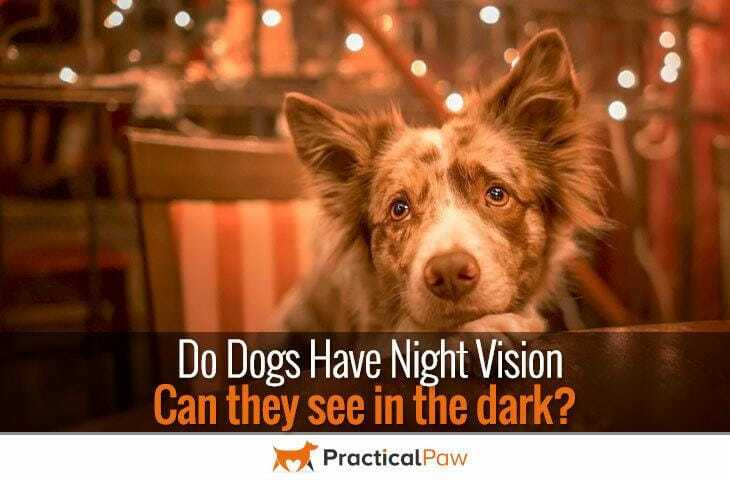 Despite their superior ability to see in the dark, our dogs see less detail than we do, have poorer depth perception and have limited colour awareness. Dogs eyes look similar to our own. Made up of three distinct areas; the dark centre or pupil, the iris or coloured ring around the pupil and the white sclera around the iris. 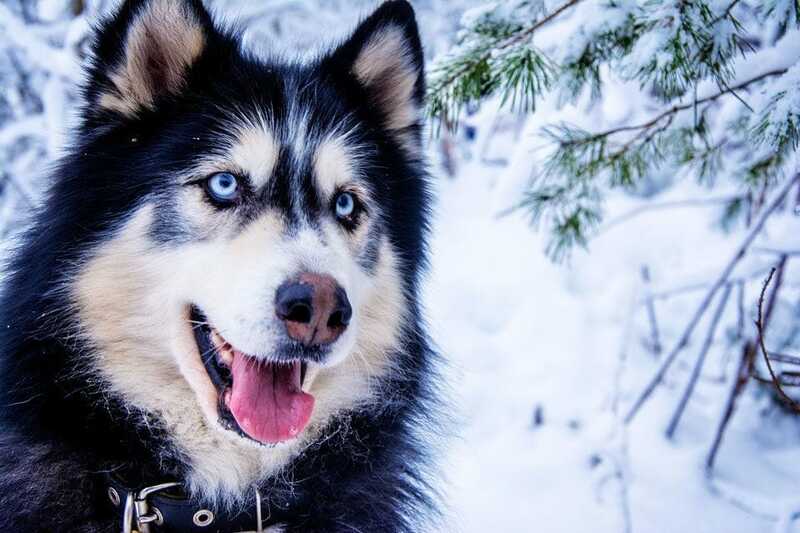 In most dogs, the iris is brown although some breeds like the Husky also have blue. The iris contracts and expands in the same way that a camera lens does, controlling the amount of light that enters the eye. Like us, our dogs have an upper and lower eyelid that helps protect and lubricate the eye. Unlike us, however, our dogs have a third eyelid located in between the lower lid and the eyeball. Known as the haw or nictating membrane, this third eyelid is situated in the corner of the eyeball near the nose. Acting like a windshield wiper this lid sweeps across the eye and removes foreign bodies. While this third eyelid is hardly noticeable in most dogs, it can be seen in some breeds like the Pug. In fact, a condition known as ‘cherry eye’ is caused by the gland in the third eyelid moving out of place and swelling causing a red lump to appear in the corner of the eye. What we can see on the outside is only part of the story of our dog’s vision. What goes on behind the eye is the key to understanding how our dog’s sight differs from our own. The eye itself is globe shaped. To protect the iris and the pupil a clear window called the cornea covers the front of the eye. Behind the pupil is a camera-like lens. This lens focuses any available light onto the back of the eye where the retina, a light-sensitive membrane transforms it into electrical impulses. These impulses are then sent to the brain for translation into an image. Within the retina are photoreceptor cells called cones and rods that help absorb light. These cells perform essential roles in determining how we see. Cones help us see colour and are in the centre of the retina, while rods make sense of light and motion and are in the outer area. Our dogs have a much higher percentage of rod receptor cells than we do. Going some way to explain why they have better vision than us in low light. But rod receptors aren’t the only reason our dogs have an advantage over us in the dark. Not only are dog’s pupils larger than our own, letting in more light. But the retina and lens of our dog’s eyes are closer together meaning the images they receive are much brighter. Perhaps the most significant difference between our own and our dog’s eyes though and the reason that our dogs’ night vision is far superior to our own is the tapetum lucidum. The tapetum lucidum or bright carpet is a layer of cells situated behind the retina, and it’s what gives nocturnal and crepuscular predators an advantage in the dark. Acting as a mirror, the tapetum effectively doubles the light available to our dogs. As light comes in through the eye and past the receptor rods, it hits the reflective surface of the tapetum and is bounced back at the rods. This rebound gives the retina a second chance to register that light has entered the eye. The downside of this improved night vision is that some of the light scatters reducing focus. So our dogs don’t see in as much detail as we do. The mirror-like surface of the tapetum lucidum is also why our dog’s eyes glow in the dark. What we are seeing is the reflection of light as it hits the tapetum surface and bounces back. Not only that, but it amplifies the light through a process of fluorescence. While fluorescence adds to the brightness of the light, it also changes the wavelength, transforming it to a colour that the rods are most sensitive to and can most easily detect. Dogs are uniquely designed to see in low-light. The combination of larger pupils, increased number of light-sensitive rods and the lens positioned nearer the retina all help magnify available light. But perhaps the essential element of our dog’s night-time vision is the mirror-like tapetum lucidum. This layer of cells allows nocturnal and crepuscular animals to utilise light in a way that we certainly can’t. However, our dogs still need some light to make use of these night-time adaptations. In total darkness, our dogs don’t do any better than we do. While like us they can successfully navigate a familiar place in the dark they are just as likely to trip over something left in the middle of the room as we are. So next time you go out and leave our dog home alone, remember to keep a light on for them.